Negligence, inadequate staffing and other problems in nursing home facilities can result in subpar patient care. The presence of bed sores on residents at a nursing home is frequently an indicator of inadequate staffing or training on the part of the nursing home. If a family member has developed bed sores, or is exhibiting signs of a rash or sore, The Orlow Firm advises you to seek legal help. Was your loved one injured because of nursing home abuse or neglect? If you suspect your loved one has been injured or developed bed sores while in the care of a nursing home facility, we encourage you to contact The Orlow Firm. Pay attention to your loved one’s skin condition, weight and overall care he or she is receiving. You know your loved one best. Although nursing home staff should give your family member proper care, it is often the monitoring done by family members that prevent serious injury or a fatality from occurring. Our firm provides experienced legal help to nursing home residents and the families that care about them. If a loved one suffered an injury due to nursing home negligence or if you are wondering if you have a legal claim, our qualified and experienced lawyers will offer a confidential and honest assessment of your case. We will come to you if you cannot come to us. Call (646) 647-3398 today. 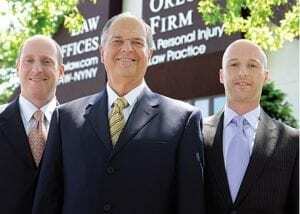 * Case expenses are advanced by our firm and are reimbursed to the firm by the client at the conclusion of the case.